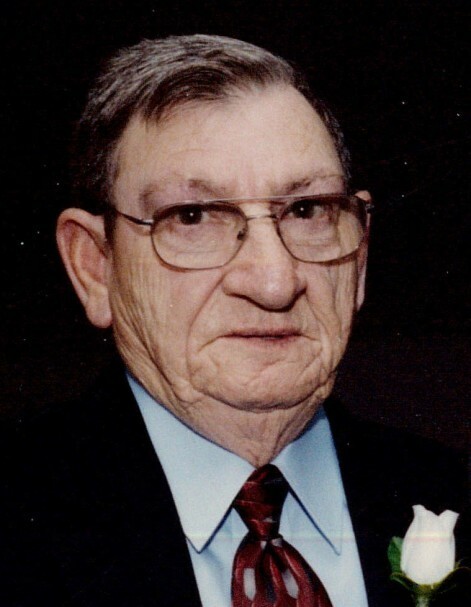 Charles Douglas “Tony” Curtis, age 86, resident of Somerville, Tennessee and husband of the late Ann Box Conrad Curtis, departed this life Tuesday afternoon, January 29, 2019 at his residence. A Funeral Service for Mr. Curtis was held at 2 P.M. Friday, February 1, 2019 at the Peebles Main Funeral Chapel in Somerville with Bro. John Ed Watkins, pastor of Mercy’s Bridge Church in Somerville, officiating. Interment with Military Honors followed in Somerville City Cemetery. Arrangements were provided by Peebles Fayette County Funeral Homes & Cremation Center - Main Chapel in Somerville. Tony was born July 27, 1932 in Pensacola, Florida, the son of Frank Curtis and Lillian Eula Kennedy Curtis. He moved with his family at an early age to Fayette County and attended Fayette County Public Schools. He was a longtime resident of the Somerville area and was employed at Rhea Oil Company as a service station mechanic and attendant for many years and was married to Ann Box Conrad, who preceded him in death on March 9, 2017. Tony served his country in the United States Army and was a member of Somerville First Baptist Church. Mr. Curtis survived by his stepdaughter, Trudie Arndt and her husband, Gary, of Rossville, four grandchildren and fifteen great-grandchildren. In addition to his wife and parents, he was preceded in death by two brothers, James W. Curtis and Robert E. Curtis.